In 2015, Mahaffey Fabric Structures received a call from a previous client who had a contract with the government to renovate existing hangar space at a Naval Air Station in California. The client wanted additional temporary space to be used much like a swing space. 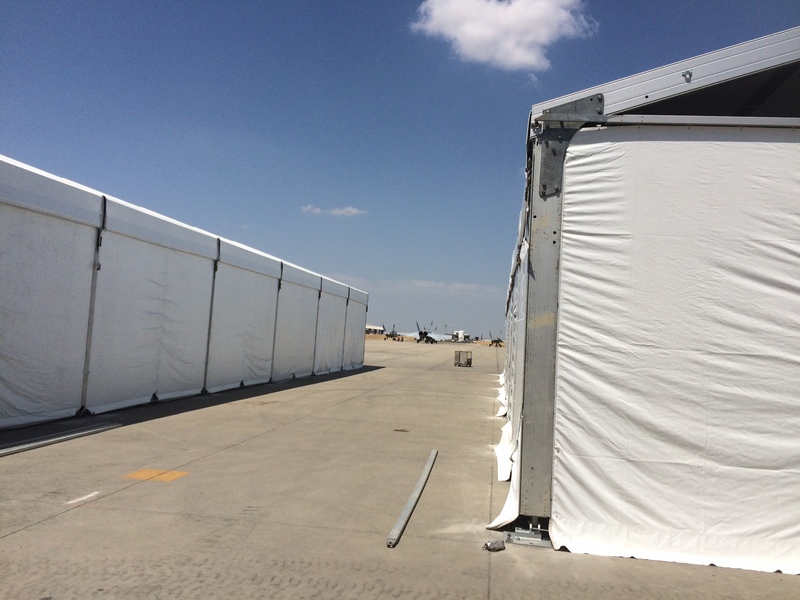 While the client worked on performing renovations to the hangar, the Navy would be able to utilize the Clearspan tent structures during renovation. Since the Clearspan structures would be used at a Naval Air Station, the structures received much attention from local engineers. Mahaffey had to provide thorough engineering analysis along with detailed anchoring plans that would meet both local code standards and satisfy engineers at the Naval Air Station. In order to meet the requirements of the project, this process was compressed and completed in just a couple of weeks. The primary challenge of the project was completing the engineering to the satifaction of the Naval Air Station. In the end, the client was extremely satisified with their temporary hangar; it is currently being used and the construction project is on track. 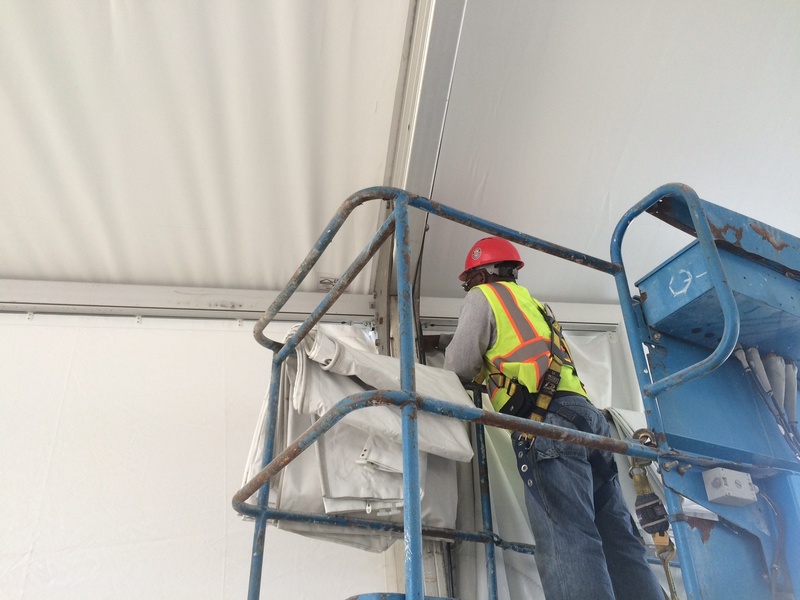 Interested in learning more about tents and temporary structures for an temporary airplane hangar, or want more information about how you can get a custom fabric building for your business?